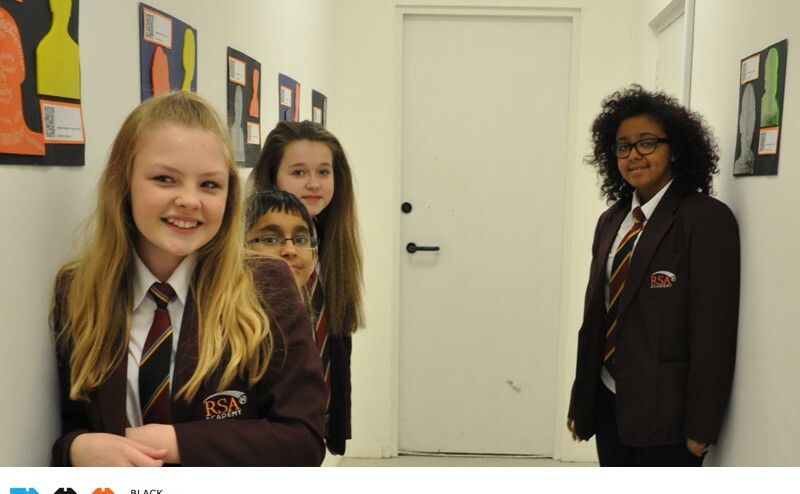 Pupils from RSA Academy were given the chance to Design, Laser Cut and Exhibit their Calligrams during a one day exhibition at our BCA studio in Birmingham. Using an arrangement of words describing their chosen innovators – pupils work included Herbert Booth, Steve Jobs and Ada Lovelace among others…. This #whochangedmyworld project initially began with some research before moving on to 2D CAD – designing their visual images using a chosen typeface and laser cutting their final design. 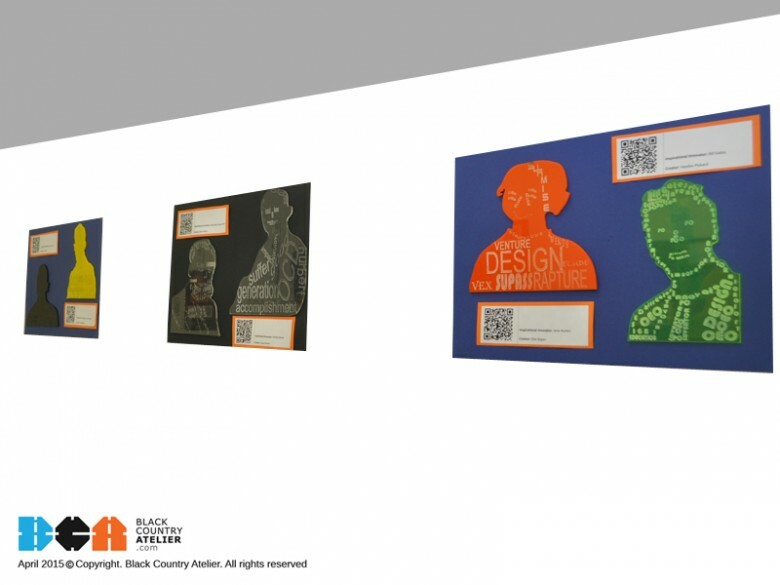 Pupils were able to learn 2D CAD, Laser Cutting and how to integrate videos via QR codes all for the first time – it was great working with an external partner said Miss Birkinshaw – the graphic design teacher at RSA Academy. 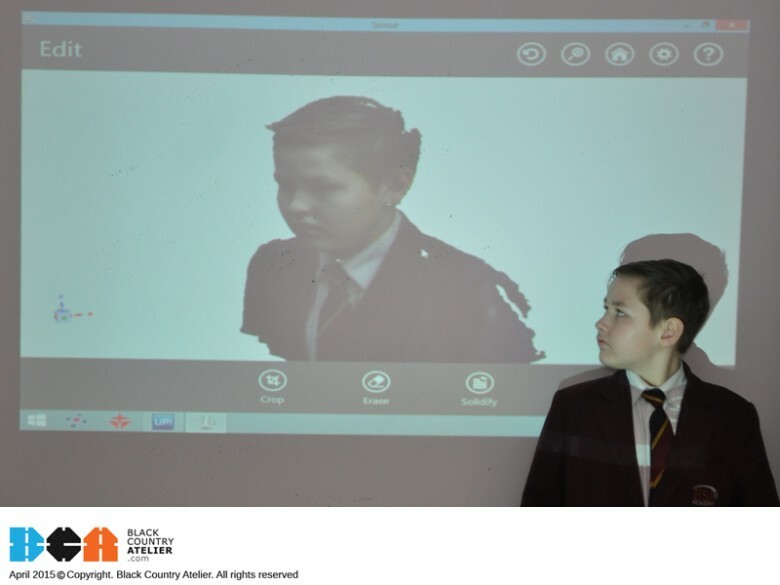 Miss Birkinshaw also said “at the RSA Academy, our pupils have not had much experience in design technology and so coming to BCA has given them an insight in to some futuristic technology that are out there – encouraging them to do engineering and other technology focused careers”.. Working closely with RSA Academy, we have enjoyed being part of the learning curve – seeing each pupils final calligram and meeting some parents on the day who are keen to see their children progress in design and technology.